What a deal! 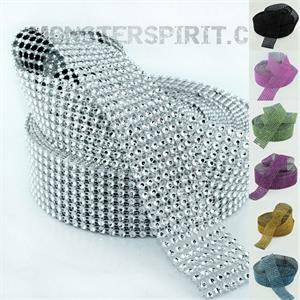 5 yards of 1.5" wide rhinestone look "diamond" mesh ribbon. Makes a beautiful accent to any craft project. 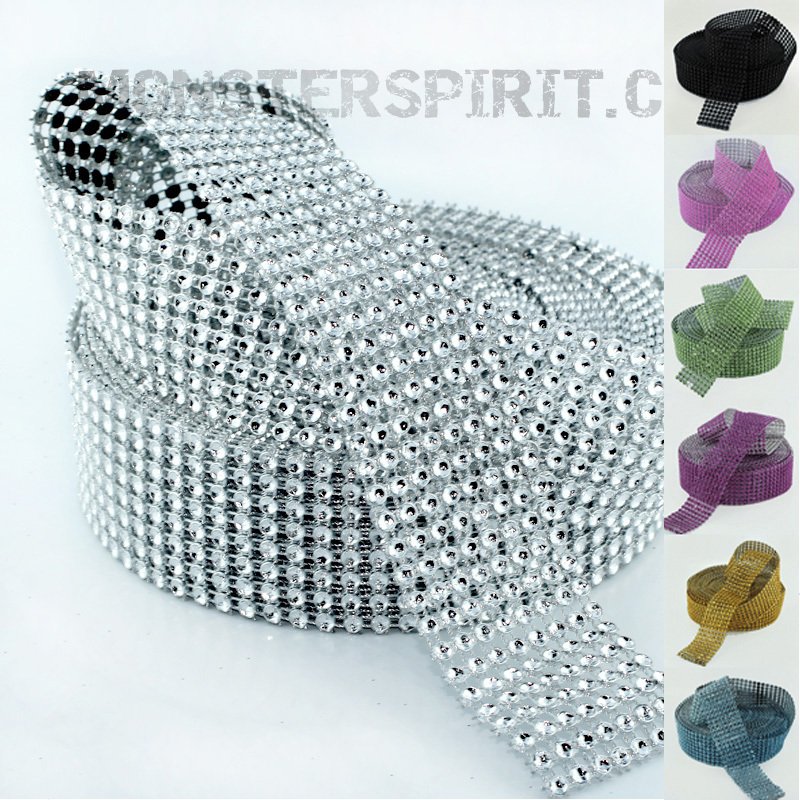 Acrylic stones look like rhinestones. 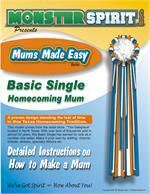 Great on Homecoming mums, prom corsages and wedding work. Can be cut to make your own rhinestome letters - see example photo.